The perennial interest in psychoanalysis shows no signs of abating and the longevity of psychoanalytic theory is seen in the varied extensions and elaborations of Freudian thinking in the fields of neuroscience and cognitive theory. Nevertheless, the scientific standing of psychoanalysis has long been questioned and developments in the fields of the philosophy of science and psychology require a fresh assessment of the scientific standing of psychoanalysis. While there are a range of views on the topic of whether psychoanalysis is in fact scientific, any satisfactory approach to understanding mind and behaviour requires an approach that is at once both philosophic and scientific. Accordingly, to even approach the question regarding the scientific nature of psychoanalysis, a foundation comprising a sophisticated conceptual and philosophical framework is required. 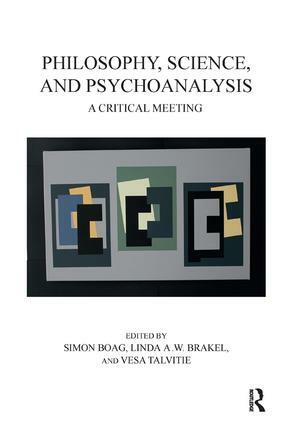 This volume represents the junction where philosophy, science, and psychoanalysis meet and presents arguments critical and supportive of the scientific standing of psychoanalysis.